Traditional costumes. Colour beige. 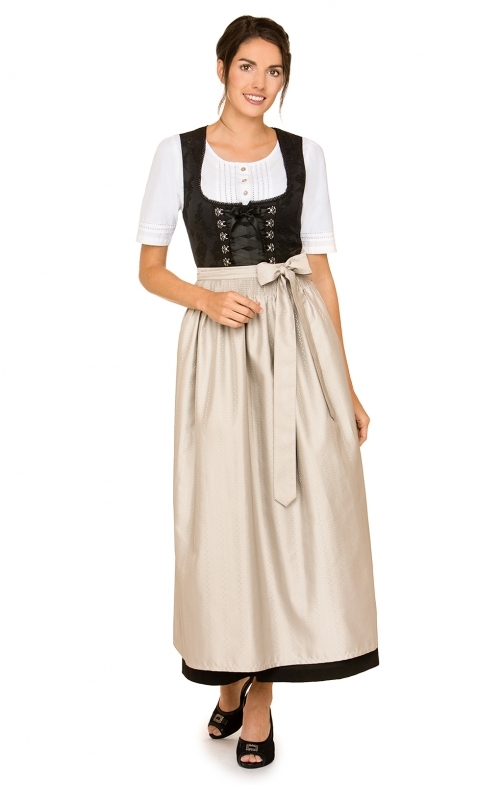 Dirndl apron in a discreet and very noble look. Light and flowing. Very easy to clean thanks to polyester. Discreetly woven through the fine herringbone pattern with the decorative apron. Very nice width is guarantor for a generous optics and worked by the machine boots at the waistband so that the dirndl apron hardly applies.